This week we've got The Standards for you. They just came back from a very succesful show in Malaysia for KOKOASIA. By all accounts they killed it over there. The band have got great songs and their shows are electrifying, makes sure you see them. 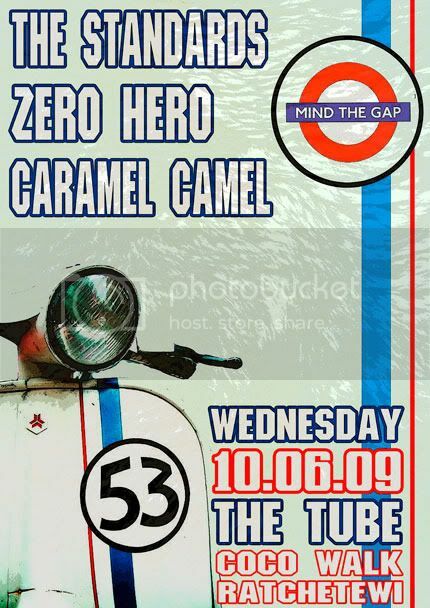 Zero Hero come back for another show, they are starting to pick up a lot of fans at the moment and are rumored to have a new CD coming in the next few months. If you haven't seen them before make sure you do now, they have a sound that is unique to them...... We wish them all the best for the future.